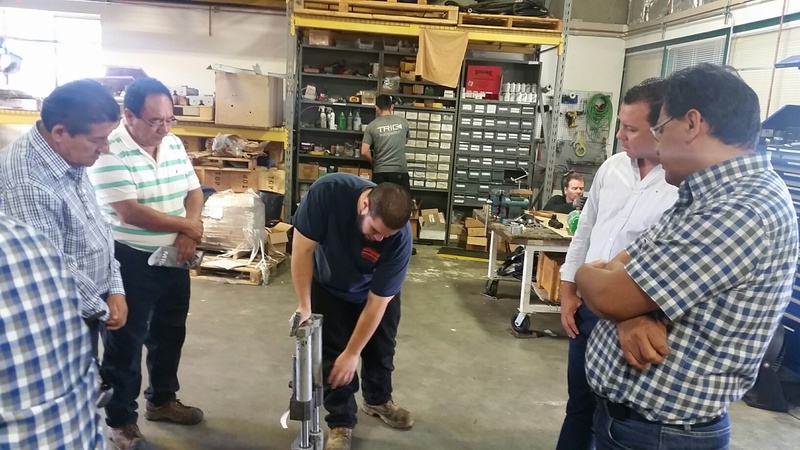 On June 20-23, Trenchless Pipe Bursting Manufacturer TRIC Tools hosted Sedapal Water, a water and sewer authority based in Lima, Peru. I really enjoyed San Francisco and can't wait to come back to spend more time here. 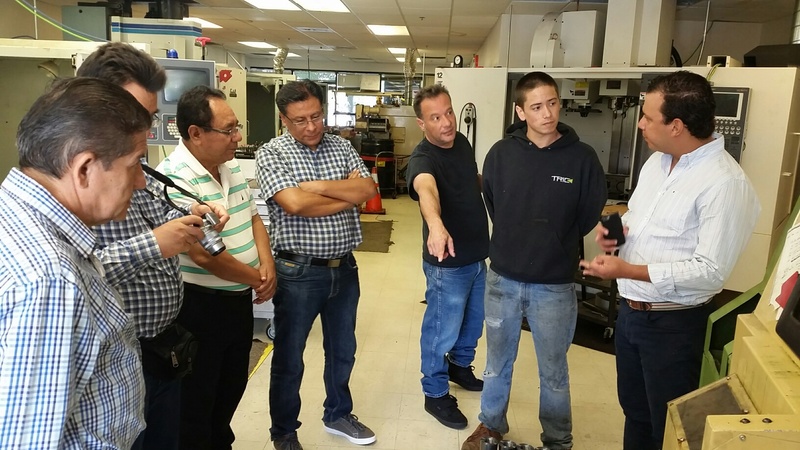 On June 20th through 23rd, Pipe Bursting Manufacturer TRIC Tools hosted four engineers from Lima, Peru. Aldrin Perez, Reuben Palacios, William Bernal and Javier Pajares represented Sedapal Water & Sewer Authority. Sedapal is a Peruvian state-owned water utility which provides water and sewer services to Lima and neighboring Callao. Sedapal employs 20,000 people. The company is executing a US$3.25bn plan to bring 100% water and sanitation coverage to Lima and Callao by 2017 through 148 projects, including building the Santa Clara wastewater treatment plant in Ate Vitarte district, Lima province, and the Pachacútec potable water and drainage network in Ventanilla district, Callao province. VE Group’s Santiago Ruiz also joined TRIC during the visit. VE Group is TRIC’s South American distributor based in Medellin, Columbia. VE Group represents TRIC in Mexico, Latin America and South America. TRIC exports its technology to more than 20 international countries. During the visit, TRIC introduced Sedapal and VE Group to its manufacturing process, and new Municipal pipe bursting developments. Sedapal recently purchased TRIC’s M100 Pipe Bursting System to rehabilitate Peru’s sewer and water pipelines. TRIC’s Marketing and Technical Director John Rafferty introduced Sedapal to Precision Engineering who were upsizing using the M100 unit to replace an 8” Sewer Line with a 10” line in Palo Alto. CEO Ward Carter, Field Trainer Jose Moreno and John Rafferty also shared a number of Municipal project highlights with Sedapal so they could visualize the full capability of TRIC’s technology. This week, Mr. Moreno traveled to Lima to provide on the job training with Sedapal’s field crew. This was Jose’s first international trip for TRIC. “I’m very excited to represent TRIC in South America,” said Moreno. While in California, Sedapal was able to enjoy a tour of Los Angeles. They enjoyed their visit to Hollywood and a trip to the Hollywood sign. They also enjoyed shopping at the Stanford and San Mateo Malls. 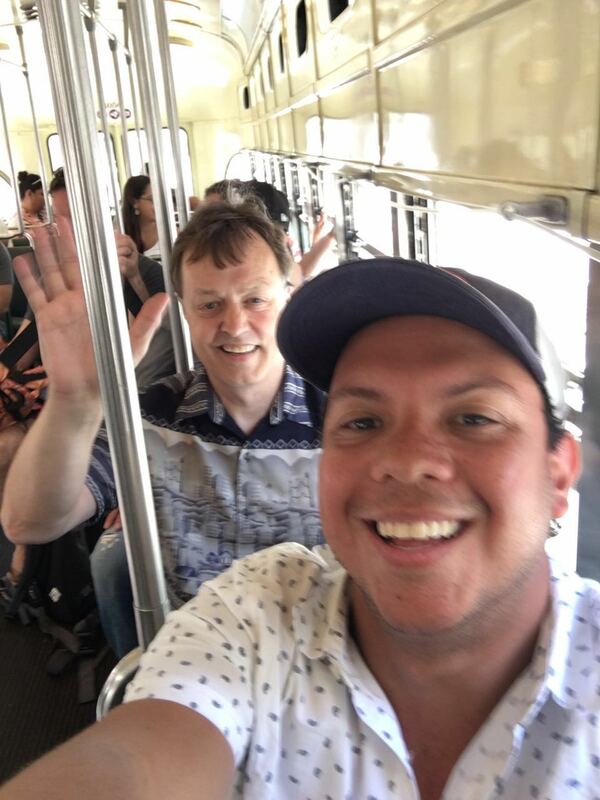 TRIC’s Operation Manager Michael Lien escorted Santiago Ruiz on a tour of San Francisco. “I really enjoyed San Francisco and can’t wait to come back to spend more time in the city,” said Ruiz. TRIC invented and patented the first Lateral Pipe Bursting System while simultaneously gaining national approval of the HDPE pipe for its use, thus opening the market for trenchless home sewer replacement in America. For more information about Trenchless Pipe Bursting equipment or the Trenchless Industry in general - please call 888-883-8742 or visit TRIC's website at http://www.trictrenchless.com to see how they can answer any of these questions for you.